Margarita Bars – May is fast approaching which means three things: Cinco de Mayo, hot summer nights, and margaritas. 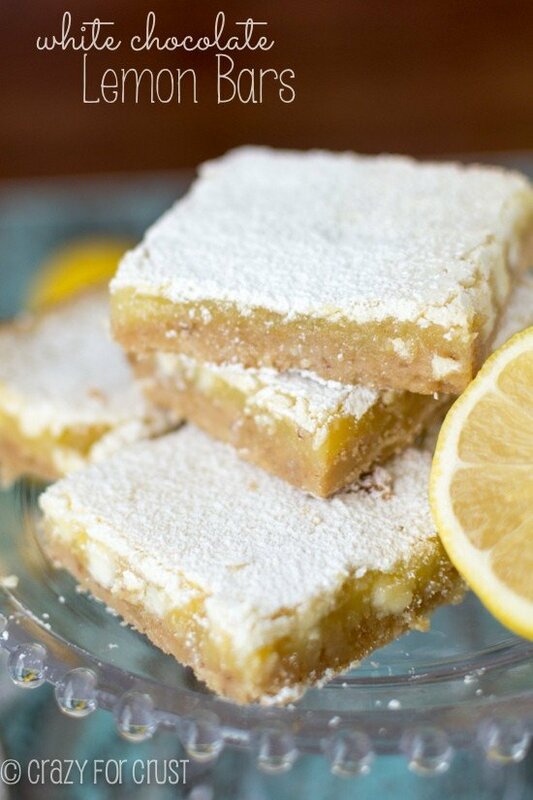 Or should we make that margarita bars? And before you get all, “Now Dorothy, get real. Treadmills can’t hit someone in the face. You must have eaten too many margarita bars and fallen on the treadmill. You just say it hit you in the face for laughs,” I’m going to tell you it’s the truth. A treadmill hit me in the face once. And it was not fun. And no margaritas, bars or otherwise, were involved. It was probably 6 or 7 years ago when the treadmill got pissed off and decided to beat me up. It was in our garage and it was folded up, lock engaged. Mel and I were moving it and I was directing in the front while he was pushing from behind, where the belt is. And all of a sudden the lock broke. And the treadmill opened and the heavy side (where the controls are) flew at me and hit me in the face, right next to my eye. If it had been 1 mm to the right it would have actually hit me IN the eye. This is the only time I’ve ever almost passed out when no margaritas were involved. All I really remember during my haze is that Mel was yelling and Jordan was crying because I’d fallen on her toy pumpkin and she thought I’d broken it. Ah, kids. I don’t remember what happened to the treadmill after that, but we no longer have it. I’m still a little shy around treadmills in general. I mean, it’s not every day one gets ornery. Instead of walking in place these days, I prefer to eat margarita bars. 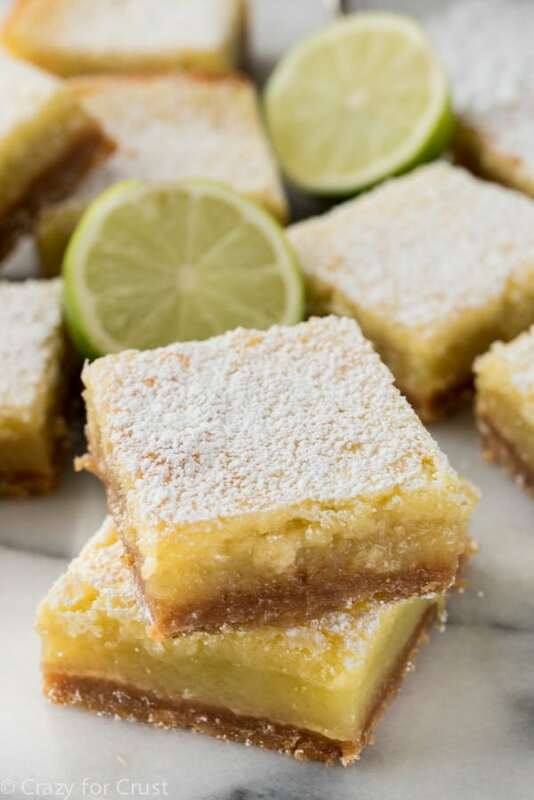 They’re basically lime bars with a hint of orange and a hint of tequila. So, margarita. I made these bars last week, ate two, and promptly sent the rest to Jordan’s school. 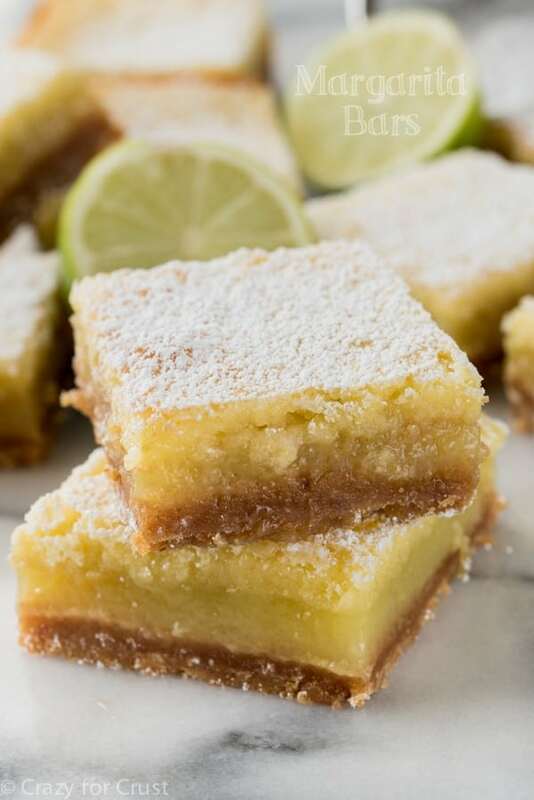 Lime bars like this have no place in my house. I will literally eat myself sick on them. Same thing with lemon bars, lime curd, and lime cheesecake. These bars are super easy and they’re the perfect dessert for summer, especially if you’re throwing a Cinco de Mayo party. The bars start with a thick graham cracker crust. I pre-bake it a little so it’s crunchy and not soggy after you add the margarita topping. Lime Juice: please use fresh, if you can. You need lime zest but you can omit it if you really can’t find limes. I know they’re a pain to squeeze but using a lemon squeezer helps immensely. My favorite margaritas always have orange liqueur in them, so I added 1 tablespoon of fresh orange juice to the mix. And, lastly, tequila. I wanted these bars to have a more authentic margarita taste and for that you need tequila. You can omit the tequila if you want or need too. Just add more orange or lime juice (see the notes in the recipe). I baked my bars in a 9×9 pan for a thicker look. If you want thinner bars, just us a 9×13 pan. Baking time will be affected. Once the Margarita Bars cool you cut them and dust them with powdered sugar. 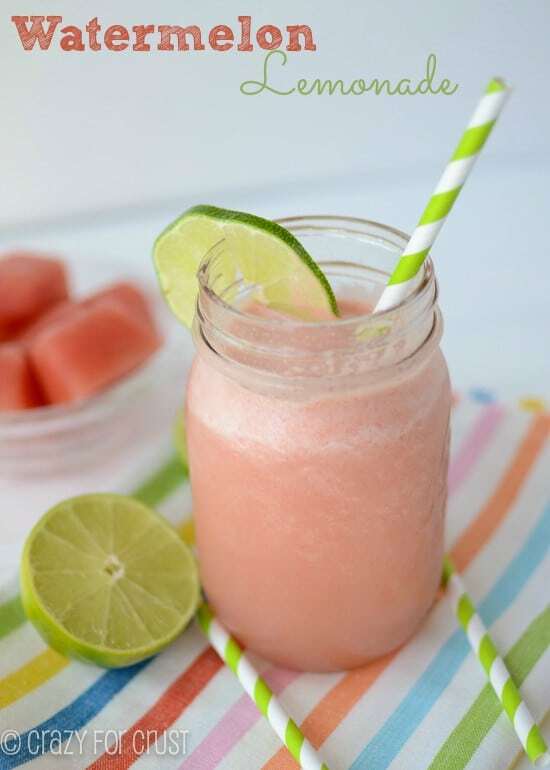 Then serve them with a frozen margarita. Is that a paradox? 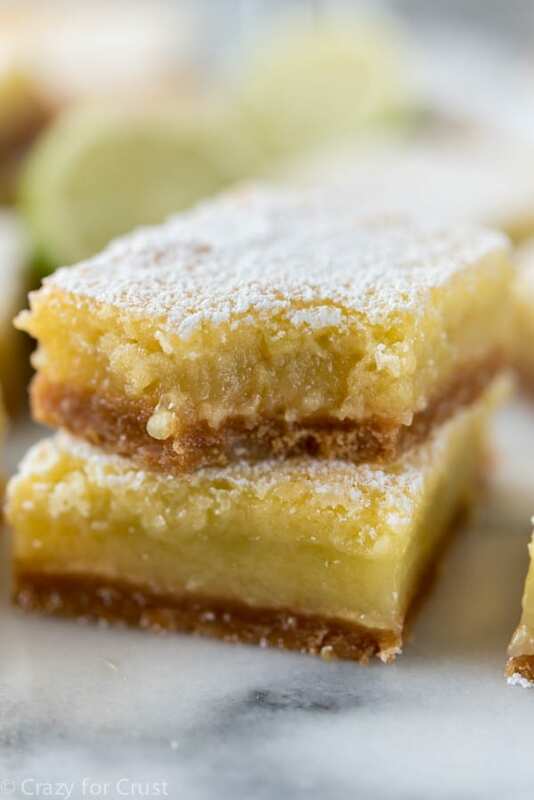 These Margarita Bars are way better than getting hit in the face with a treadmill. Just sayin’. These bars are full of lime and margarita flavor! 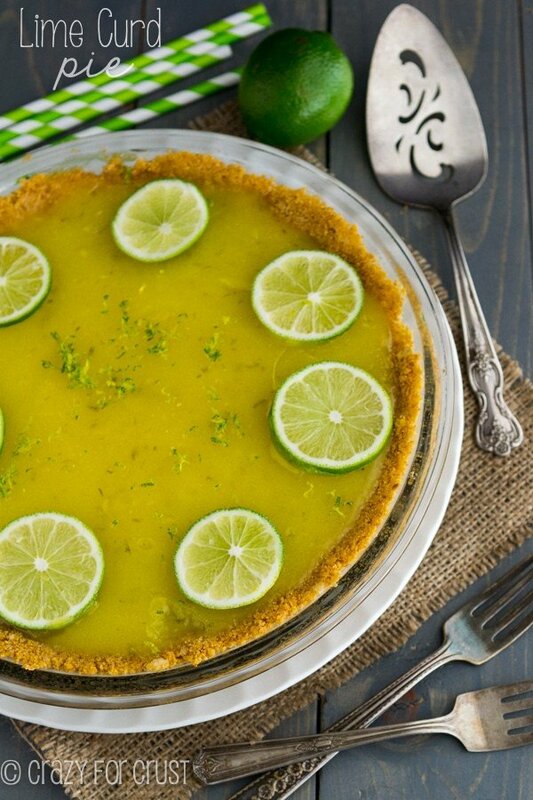 There's a burst of citrus in the filling and a sweet crunch from the graham cracker crust. I made these and they turned out runny. I followed the directions to the exact letter. Why do you think that happened?